The Instagram account had remained inactive since May of 2017 when there were only a handful of posts. 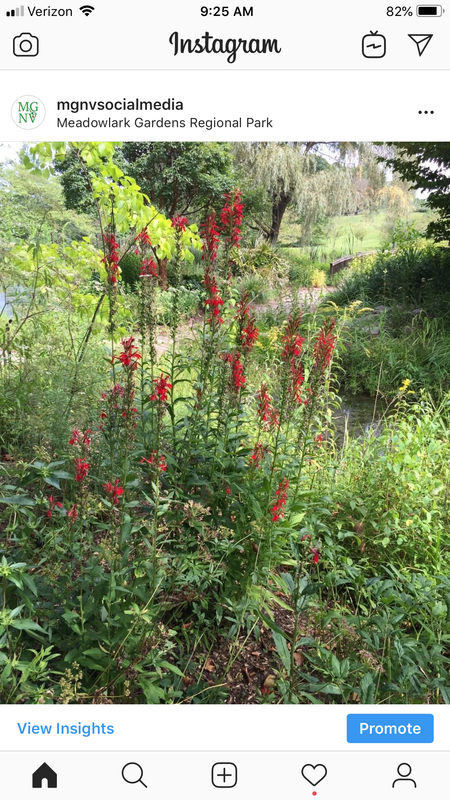 Now the account is active with different captioned photos of the week’s mystery plant posted each day. The photo series began with the flowers of the poinsettia, and has featured beautiful or intriguing details of flowers such as our native witch hazel (Hamamelis virginiana), the distinctive bark of river birch (Betula nigra), orange berries of winterberry holly (Ilex verticillata ‘Winter Gold’), dried seed heads, fruits, or fertile fronds of switchgrass (Panicum virgatum), swamp rose mallow (Hibiscus moscheutos), sweet gum (Liquidambar styraciflua), ostrich fern (Matteuccia struthiopteris), and the basal leaves of cardinal flower (Lobelia cardinalis). At the beginning of the year, the Instagram account had 23 followers. As of March 29, we have 123 followers, including multiple Master Gardener groups throughout the country, Friends of Green Spring, International Master Gardener Conference (2019, Valley Forge, PA), Arlington Friends of Urban Agriculture, Greenstreet Gardens, and numerous individuals. To follow our educational posts, go to https://www.instagram.com and create an account. Then use the search box at the top of the application to locate mgnvsocialmedia. We invite you to follow us! You can also look for our posts by hashtags: #mgnv and #mysteryplant. Look for daily posts in the series through the remainder of 2019. 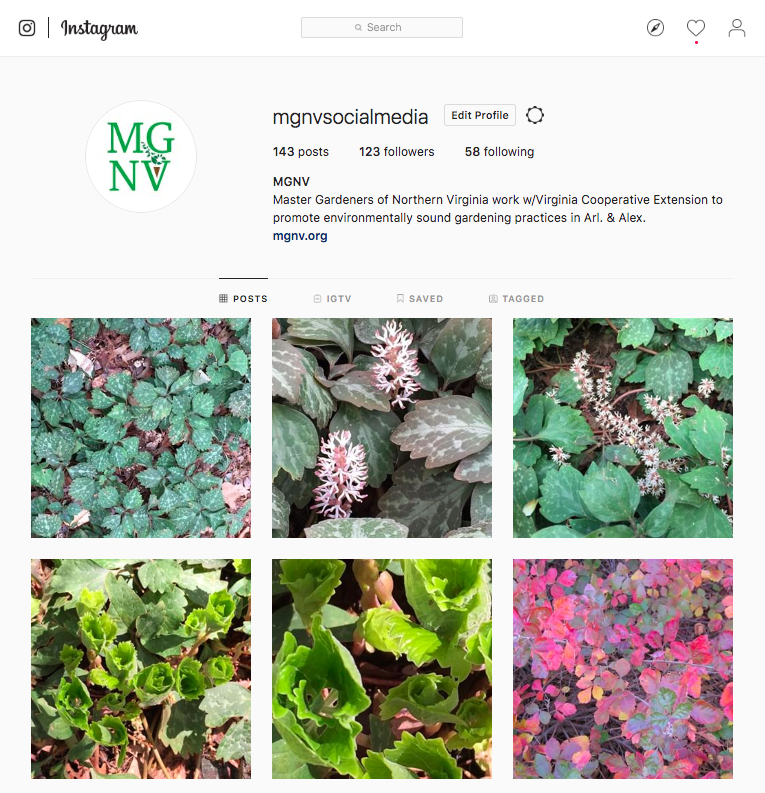 This entry was posted in MG in the Garden, Public Education and tagged #mysteryplant, Instagram, MGNV, mgnvsocialmedia, Social media. Bookmark the permalink.